We will update our servers tomorrow at June 22th 03:00 server time（EST 04:00）. In the meantime, they will be unavailable for approx. 1 hour. 1. 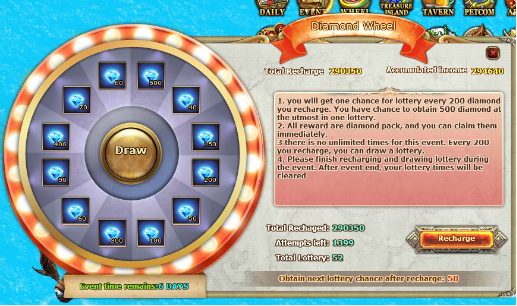 Diamond wheel event is online from June 22nd to June 28th. 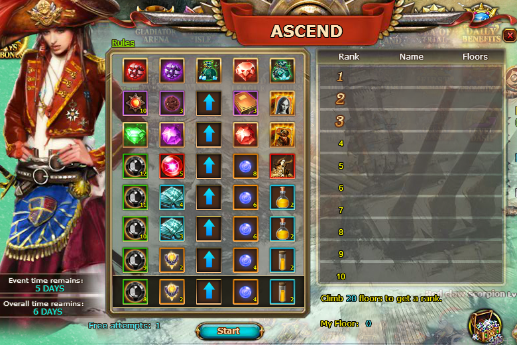 2.Ascend event is online from June 22nd to June 27th. Rank reward claim time is June 28th. 3. 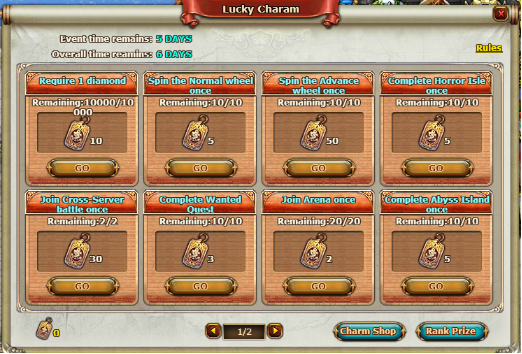 ‘Lucky Charm’ event is online from June 22nd to July 4th. Rank reward claim time is July 5th. 4. Ocean Treasure event is online from June 22nd to June 27th. Rank reward claim time is June 28th. A. Spend diamond to reveal items hidden under ice cube ( 3 free attempts each day), chance to get rare items. B. Break ice cube will show a number indicates how many items hidden within nearby 8 cubes. 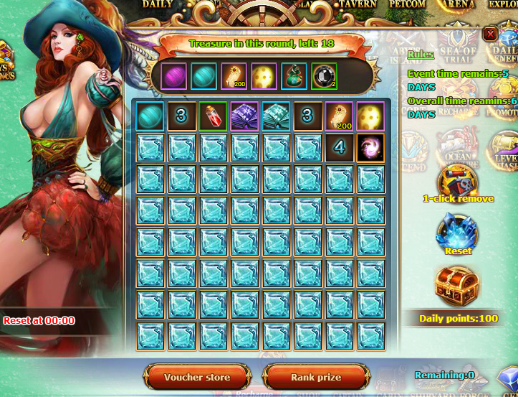 C. Get all treasures to finish exploration and all ice cube will be reset automatically. Players also can reset unfinished exploration by spending gold. After resetting exploration, rewards will be changed. D. Break ice will get points, each cube worth 10 points; collect enough points to claim corresponding rewards in ‘Point Box’ panel. 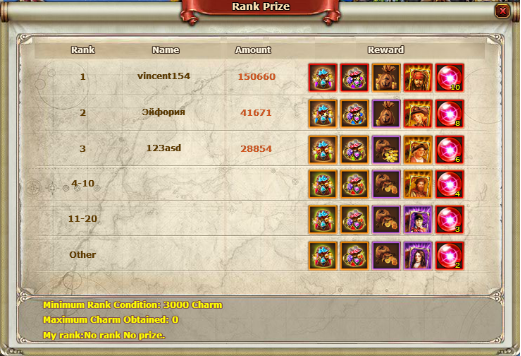 E. There are two kinds of rank in this event, daily rank and weekly rank. The daily point record will be reset at 24:00. 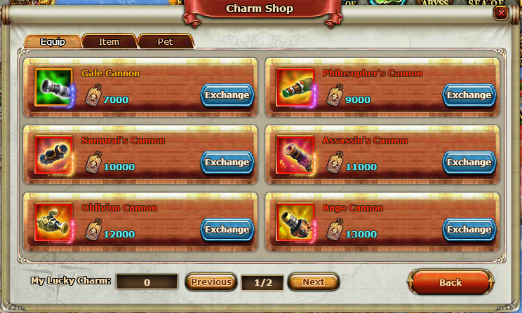 F. Joy voucher can be used to exchange items in voucher store. G.Use 1-click feature can remove all ice cubes to get all items and points.